I worked in nightclubs and at dance festivals, both here and overseas, for the best part of 25 years and I can count on one hand the number of times I ever had anyone offer me drugs. Even when I did, the person usually said something in a whisper as they were brushing past me, so I can't be absolutely sure that's what they were actually doing! I have certainly never known anyone having drugs forced onto them by some stranger in a club - that's the stuff of TV melodrama. It is important to remember that dealers rarely, if ever, actively hunt out clients - they don't have to, people who are looking for drugs try to find them! One of the classic drug stereotypes is that of the evil drug dealer or 'pusher' in the trench coat lurking at the end of the school yard trying to entice children with his wares. This image plays into all the fears that parents have about drugs and how they are distributed. 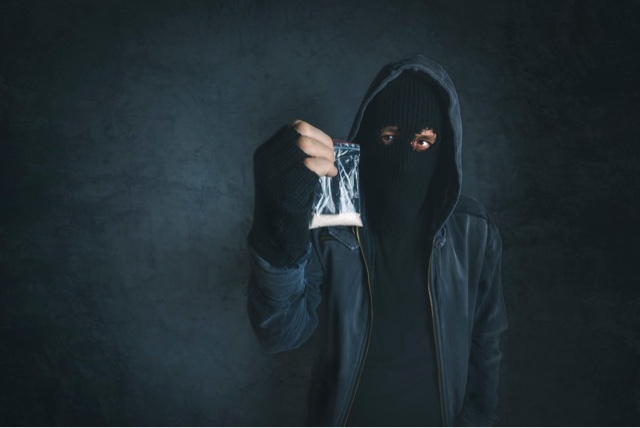 It reinforces the belief that young people have drugs pushed onto them by unscrupulous people who try to get them 'addicted' to a substance so that they can continue to make money from their client's misery. In reality most young people usually obtain drugs through friends and friendship networks, i.e., 'they know someone who knows someone who may be able to get them something'. It should be noted that there appears to be growing numbers of young people who are purchasing drugs online and I will discuss that phenomenon in the coming weeks, but even then, many substances bought in that way are then on-sold via friends. Television and movies have cemented the belief in many peoples' minds that drugs are usually purchased 'on the street'. Without question there are some street drug markets that exist in Australia, with Kings Cross in Sydney being the most well known one, but they are few and far between. Those who use these street markets are usually entrenched drug users, most often injectors, who have a range of other social problems. It would be extremely unusual to find young people who are considering experimenting with drugs utilising street dealers. One of the great myths about young people and drugs is that they have drugs 'pushed' onto them. In actual fact, many adolescents actually hunt them out. Their interest has been sparked by what they have seen in their friendship group or watched on the television or in the movies, and they want to see what all the fuss is about. Friends who can provide access to drugs are regarded by these young people as valuable assets. These young people who supply drugs to their friends would rarely, if ever, regard themselves as 'dealers'. For many, they would say they are simply 'helping out a mate', with the more entrepreneurial believing they provide a 'service'. Their friends want drugs and they are able to provide them for them. Unfortunately, we've seen this time and time again in relation to high profile ecstasy-related deaths, when the media reveals that the person who sold the pills to the deceased is identified and prosecuted. More often than not, these suppliers have been friends (sometimes best friends) of the young person who has died and, in some cases, actually handed themselves in after the death because of their guilt. Based on the information we have, it would seem that very few of these young suppliers make a great deal of money from selling drugs to friends. There's no denying that illicit drugs are definitely big business and there are a lot of people who make very large amounts of money from dealing and supplying, but contrary to popular belief, selling small quantities to friends is not a big money spinner. When you consider the huge risks that these young people are taking with their future should they get caught, it simply doesn't seem to be worth the risk. So, if it's not all about money, why do some young people do it? Is it just about helping a mate? The limited information we have about this type of supplying amongst friendship groups seems to suggest that many of the young people involved in the supply of drugs do so to supplement their own drug use. Although many would think that this is to do with them having a 'drug problem', that is often not the case. A young woman may buy 30 pills from someone she knows and if she sells 26 of them, she may be able to keep the other four for herself. A 17 year-old cannabis user may be able to keep a bag or two from the rest of the 'stash' he sells to his mates. These aren't necessarily teens with dependency issues, they just would prefer not to pay for their drug of choice and can do that if they sell to others. Of course there are always those young people who sell drugs in an effort to be accepted by their peer group. You can become pretty popular amongst some groups if you can provide good quality drugs at a reasonable price on demand. Unfortunately, I'm certainly seeing examples of this all over the country at the moment related to cannabis. Young men, usually Years 8 or 9, who are desperate to make friends and have access to cannabis make a foolish decision and take it to school to sell. Adolescence is such a difficult time for some young people and they have a great need to be accepted by those around them and unfortunately some of them will resort to really dangerous practices to find that acceptance. If I was to give you $60 and ask you to go and buy two ecstasy pills, where would you go? Most young people, like their parents, do not associate with illicit drug users, as a result they would not have the slightest clue where to get drugs such as cannabis and ecstasy. However, they may know someone who knows someone who has a contact somewhere. Because of the illicit nature of drugs, contacts within friendship groups are the usual way that these substances are bought and sold. That is the way it has been for a long time and there is no sign that it is likely to change anytime in the future.